Prince August Toy Soldier Factory website is a tourism focused site, and the links provided are to assist visitors in enjoying their vacations in Cork, Ireland. 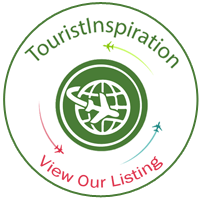 Therefore we provide links to services and businesses that aid tourists in terms of travel, accommodation, local attractions in the Cork or Kerry County region and related activities. Exchange Links: Prince August Toy Soldier Factory will accept text links from suitable third party sites. Text should clearly explain the nature of your website in a short sentence. Contact our webmaster if you wish to discuss banner exchanges. We can provide banners of any dimension, in jpeg or gif formats to suit your site’s requirements. Important Notice: The Prince August Toy Soldier Factory does not guarantee, approve or endorse the information or products available at these sites, nor does a link indicate any association with or endorsement by the linked site to Prince August. We do not operate or control and have no responsibility for the information, products and/or services found on any external sites. Nor do we represent or endorse the accuracy or reliability of any information, products and/or services provided on or through any external sites, including, without limitation, warranties of any kind, either express or implied, warranties of title or non-infringement or implied warranties of merchantability or fitness for a particular purpose. Visitors to Prince August Toy Soldier Factory assume complete responsibility and risk in their use of any external sites. Visitors should direct any concerns regarding any external link to its site administrator or webmaster. Castle Hotel, 4 star Hotel in Macroom town in Cork, Ireland. Only 12 minutes drive from our Toy Soldier Factory. Findus Guest House, Bed and Breakfast, in Kilnamartyra, only minutes from our Toy Soldier Factory. Lissarda Manor, Ballytrasna, Lissarda, Co. Cork. Midleton Park Hotel, Old Cork Road, Midleton, Co. Cork. Riverside Park Hotel, Macroom, Co. Cork. The Abbey Hotel, Ballyvourney, Co. Cork. The Mills Inn, Ballyvourney, Co. Cork. MyMacroom | Information about Macroom town and area. Familyfun.ie | Ireland’s Family Entertainment Web Site for fun things to do with the kids.